This is a Westminster chiming mantel clock in a mahogany case with carved scrolls to the sides. 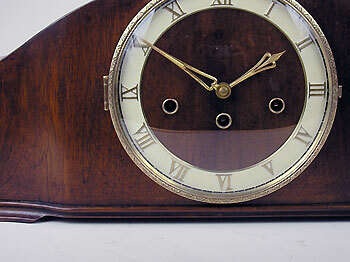 The clock has seven inch chaptering with Roman numerals and brass hands, as well as an embossed brass bezel. 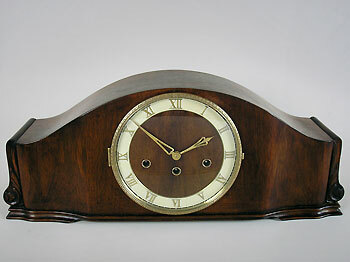 The chiming movement is of eight-day duration.